The Economist concluded, “America was good to the young Andy Grove, providing him with a refuge from totalitarianism and then a first-class education. 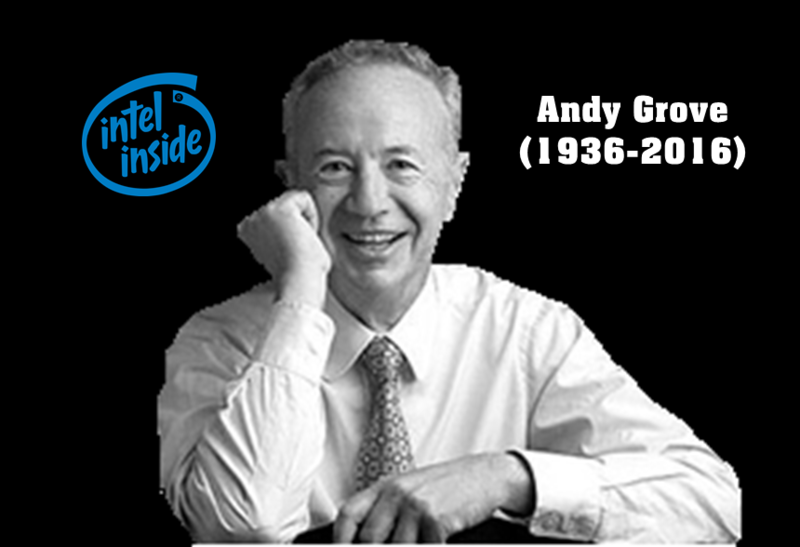 In return Andy Grove was good for America, by helping it to remain at the very heart of the semiconductor revolution. His career was a parable as well as a triumph.” In one of his books, Grove wrote, “We all need to expose ourselves to the winds of change.” Grove bravely stood braced atop the cliffs as the winds of change rushed ashore ushering in the computer age. If America is to remain strong, we need to keep alive the dream that brought Andras Grof to our shores. “The man who put Intel inside,” The Economist, 26 March 2016. Amanda Eversole, “Intel’s Andy Grove Blazed Trails From Silicon Valley to Washington,” Re/code, 29 March 2016. Andy Grove, “Andy Grove: How America Can Create Jobs,” Bloomberg, 1 July 2010. Susan Helper, Timothy Krueger, and Howard Wial, “Why Does Manufacturing Matter?” Brookings, 22 February 2012.